This article was posted on Friday, December 18th, 2015 at 2:13 am and is filed under Other News. Travelers looking to see the world have an almost endless selection of exotic and exciting destinations to choose from when picking their next vacation spot. For most people, there are more places to visit than there are chances to travel. How should one go about deciding which international travel spots are the ones most worth visiting? One of the best ways to learn which vacation destinations are the best is to listen to what other travelers have to say about the places they’ve visited. And according to this year’s Traveler’s Choice Destinations awards from TripAdvisor, Peru was placed on the list not once, but twice. Cusco was one of the 25 cities selected for the main list, while Lima earned a place on the list of top 10 destinations on the rise. Cusco has long been a favorite destination for travelers who know South America. The city is the former capital of the Inca Empire, and it serves as the gateway to many of the great sites associated with the Incan people, such as the Sacred Valley, the Inca Trail, and the world famous Machu Picchu. 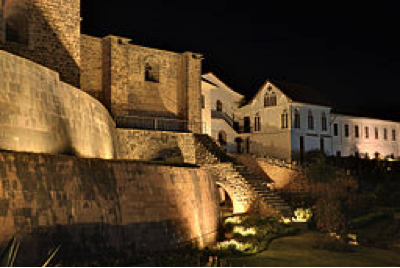 When travelers recommend visiting Cusco, they are in essence recommending a tour through the history of one of the Western hemisphere’s greatest ancient civilizations, whose architecture and culture can still be seen reflected in the area to this day. Cusco may be the capital of ancient Peru, but Lima is the modern country’s thriving heart. The capital and largest city in the country, Lima was founded by the famous Spanish conquistador Francisco Pizarro. Today, Lima is the third largest city in the western hemisphere; nearly a third of the country’s population lives in the city and surrounding metropolitan areas. 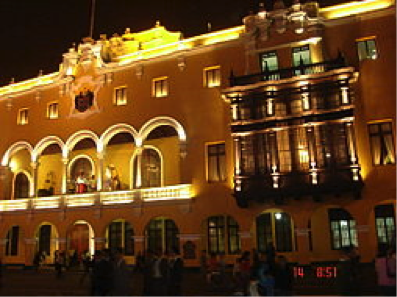 Lima has served as the center of Peruvian government since the 16th century, when it was the home of the governors and administrators who managed the territory in the name of the Spanish Empire. Because of its long history as an important city in the area, Lima has some of the oldest modern buildings in the western hemisphere, including the oldest university in either North or South America, the National University of San Marcos. Together, Cusco and Peru represent the whole of Peru’s history, ancient and modern. They also demonstrate the full range of reasons there are to visit Peru, from its current thriving culture to its ancient landmarks and traditions, the two of which make up its unique identity. There’s a reason travelers from around the world recognize Peru as one of the best places to visit in the entire world – whether you’re looking to explore ancient history or enjoy a bustling modern city, you’ll find a unique and rewarding experience in Peru. Best Peru Tours offers discount prices on great tour packages to Peru. Learn more by contacting us today at 866-788-5647.